Bent Lego Brick - Made to Spec and bent accurately.... by meximelt is licensed under the Creative Commons - Attribution license. 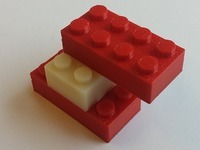 I wanted to accurately bend a lego brick and have it pulled on the outside and squished on the inside.... so here it is!! 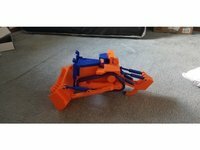 Alot of work in onshape.com to create. 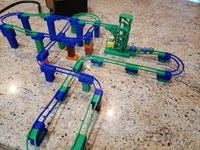 Have fun and print with supports. Mine came out well. Say thanks by giving meximelt a tip and help them continue to share amazing Things with the Thingiverse community.